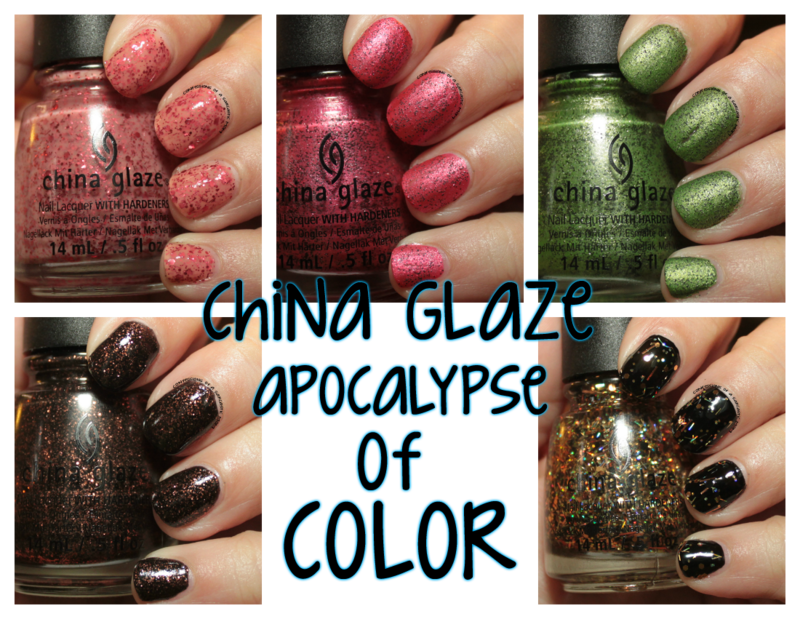 China Glaze Apocalypse of Color collection! I know it's not Halloween anymore, but let me tell you a story as to why my post about the China Glaze Apocalypse of Color collection is late. I LOST MY PHOTOS. They disappeared! They aren't on my camera, and they didn't end up on my computer. So where did they go? I don't know :( So I had to reswatch the collection, and I had no sun (again), so I tried to showcase these with inside light. I think I did ok :) What are my thoughts? Check it out after the cut! 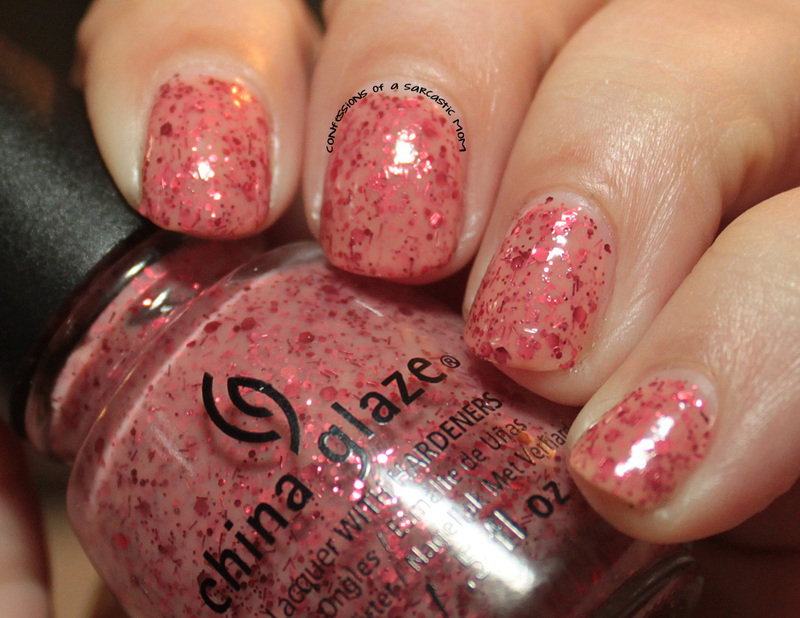 My favorist polish from this collection, and one of my favorite China Glaze polishes this year, is Don't Let The Dead Bite, a pale pink jelly with red shards. It looks a lot like blood splatter. 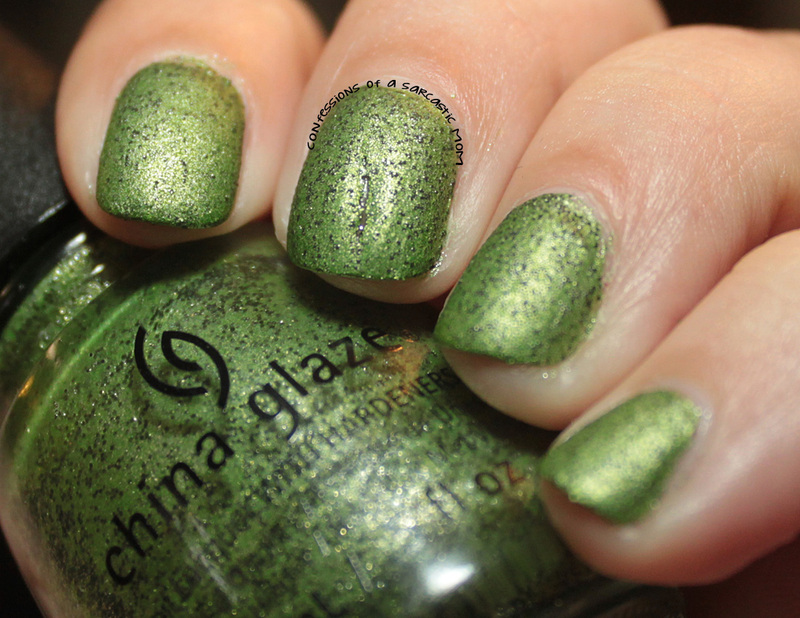 The really neat thing about this polish is that it only takes two coats for great coverage! I do love But, Of Corpse, the green version of I Love Your Guts. See my middle nail? Yeah, I had a drag mark in my first coat. I thought maybe I could even it out on the second coat. No such luck. I decided to leave it here, and take photos of it, so that you all could see. 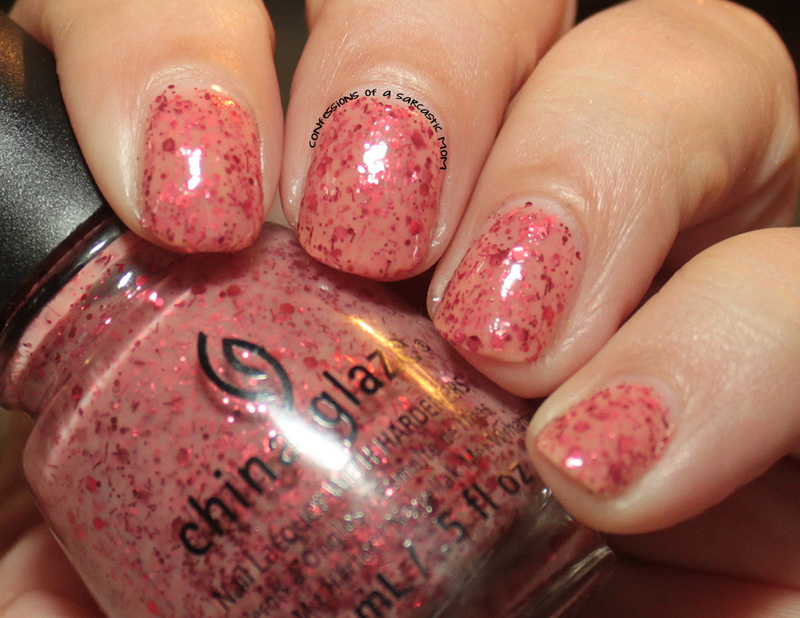 The formula on these two polishes is identical - but it's all about the application! 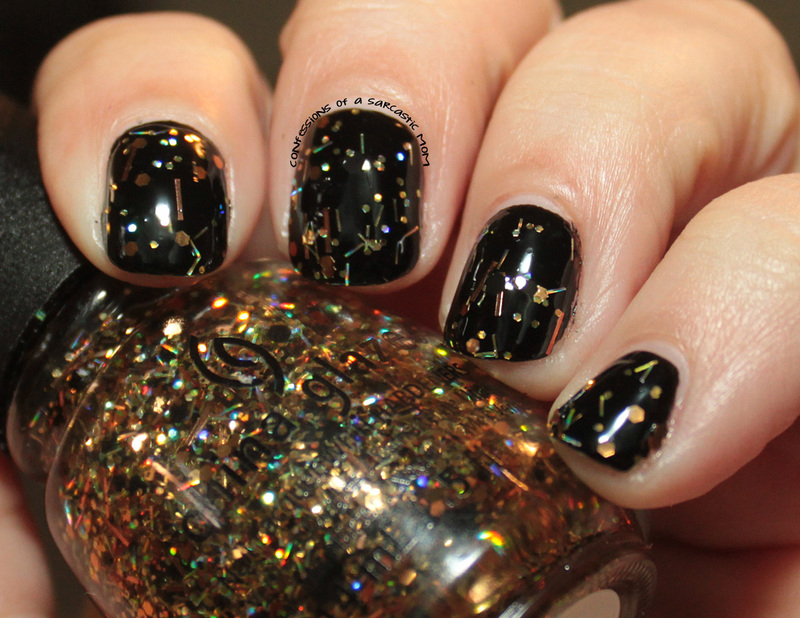 Getting To Gnaw You is like a shiny version of the two previous polishes, only with gold glitter and a black jellyish base. The formula on this one was a bit on the watery side. I had minor application issues at first, but once I got myself acclimated to the consistency of the base, I did just fine. 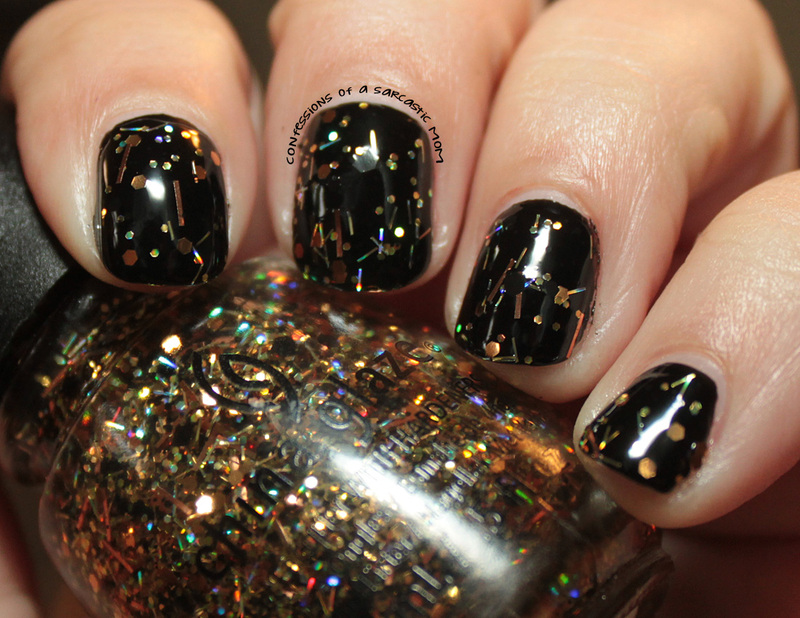 This gold glitter extravaganza is Rest in Pieces. I swatched it over a black base. The glitter payoff is pretty sparse. It's definitely more of a dab and place glitter. The base isn't too terribly thick, but it sure isn't thin. So when you're applying, make sure you don't have too much of the base on the brush. It'll get gloopy and not do much good. 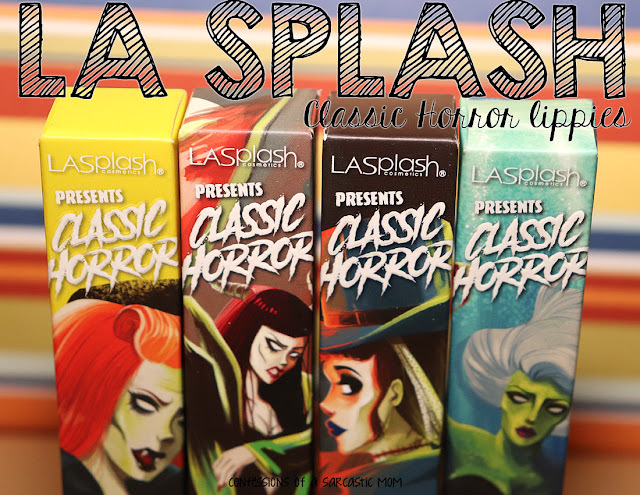 Also included in this collection is the perennial repromote of Ghoulish Glow. I have reviewed it before, and, of course, with the disappearing photos, I just decided to provide you with my link from previous.